Indian earring & tikka set in antique gold & various colours (please select below); set with golden faux pearl and sparkling golden kundan stones. Set includes: chand bali earrings with saharas & round tikka all adorned with hanging golden pearls. 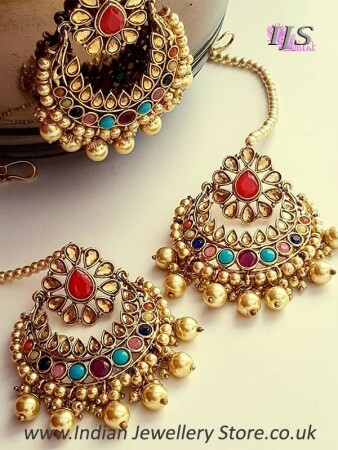 Indian Jewellery Store LOVES this product because it encompasses all key elements of current Asian jewellery trends - pearls, golden crystals, chand balis & round tikka. 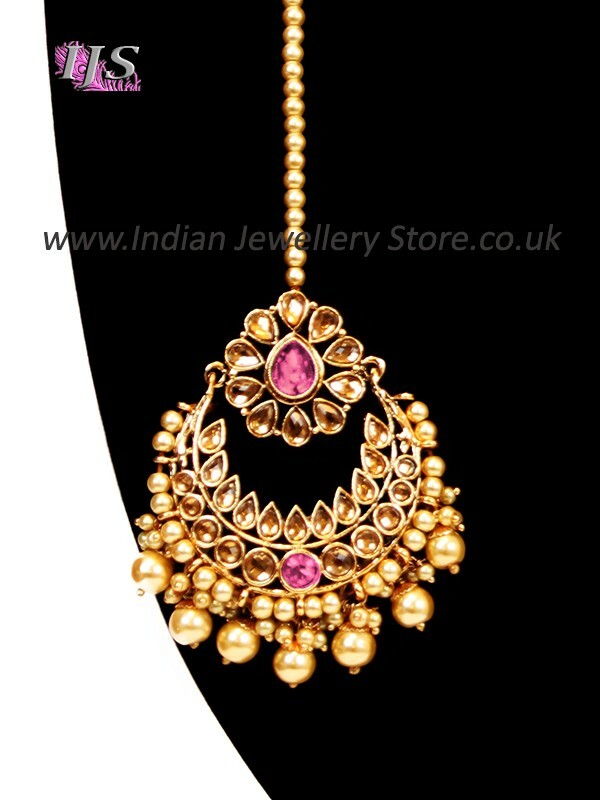 Make a statement in this stunning designer Indian Jewellery. Dimensions:- Earrings: 5.5cm max wide, 7.5cm long. Tikka: 5.5cm wide max.